The logo is displayed in the middle of the new gym floor. The old tornado wasn’t even a sponsored logo, it was just a random tornado. The gym is open once again after renovations were initiated by athletic director Jason Frey, who felt the space needed a rebranding. With renovations beginning Dec. 8, life shifted for the staff and students who depended on the gym for games and classes. Coach Judd, who teaches many classes like HOPE and team sports, uses the gym as one of his classrooms. Since the gym was being renovated, he had to hold class in locations other than the gym, making it hard for his students to change out (which is a part of how he grades his class). 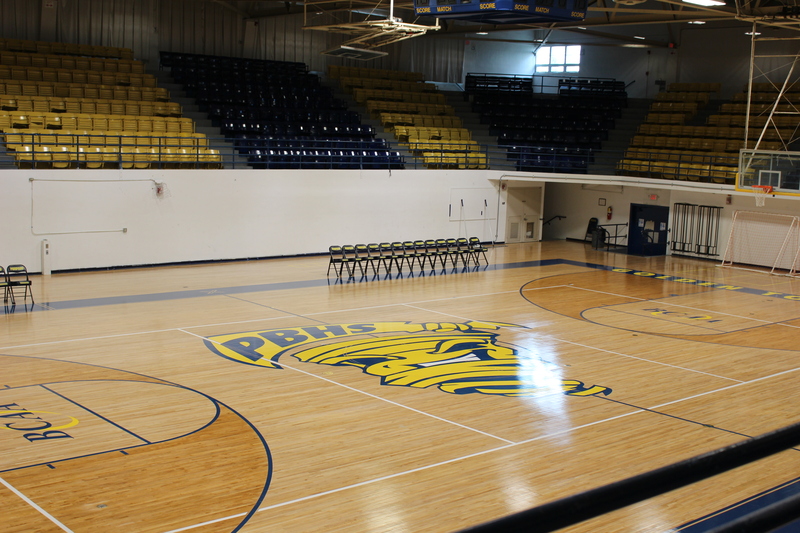 During the renovation, the basketball teams switched their home games to away, and practices had to be held either on the outside courts or at Crystal Lake Middle School. Renovation finished Feb. 9, one month later than planned.